Get the facts straight: Busting 3 major hardwood flooring myths. Let’s first state the obvious: hardwood floors are beautiful. They add value to Bay Area homes; and they generally make for a great investment. 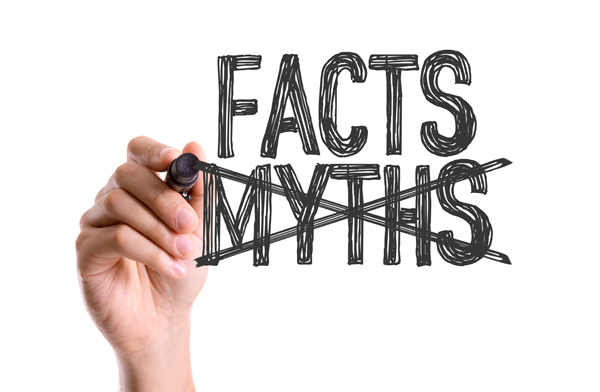 That said, many people nevertheless shy away from installing hardwood floors or even exploring how and where they could be used due to the following three myths. It’s high time to debunk them for good! In a strict sense, they can be more expensive to install than other flooring options. However, you need to look at the bigger, longer term picture. These floors can last you literally hundreds of years. Carpets, tiles, and linoleum need to be replaced every 10 to 20 years, and over this time frame, they will end up costing more than hardwood floors. Also, you can use area rugs to update the look of your hardwood floors; whereas, other flooring options become dated over time, leading to costly replacements. This myth must be one of the most mystifying – these floors couldn’t be easier to maintain. Sweep or dust them, or just vacuum them with the beater bar turned off. It’s that simple. Use products recommended by the installer to shine floors that have become dull over time to keep them beautiful. Avoid mopping or using excess water to clean. Follow these easy rules, and your hardwood floors will last you a lifetime. All flooring shows wear over time. Carpets get stained, tile gets chipped and linoleum just falls apart. While hardwood floors can get scratched, they don’t necessarily get scratched “easily” – their vulnerability depends on the hardness of the wood, the treatment of the wood, etc. Hardwood floors also can be repaired to look like new. Surface scratches are easily repaired. Deeper scratches require more effort to treat but won’t necessarily destroy the floors or even render them aesthetically unappealing. Look beyond the myths to appreciate the beauty and value of hardwood floors. Elegant Floors offers hardwood floor repair and hardwood flooring installation service throughout the Bay Area, including Saratoga, Los Gatos and South Bay. Call us today at 408-773-8624 or click here to learn more.